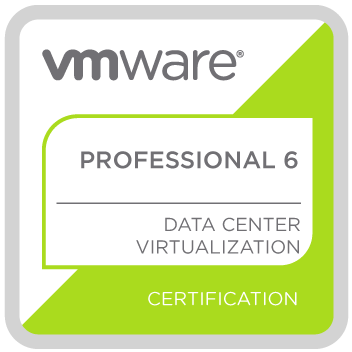 With the release of VMware vSphere™ 5.0 (“vSphere”), VMware brings a number of powerful new features and enhancements to the networking capabilities of the vSphere platform. These new network capabilities enable customers to run business-critical applications with confidence and provide the ﬂexibility to enable customers to respond to business needs more rapidly. All the networking capabilities discussed in this document are available only with the VMware vSphere Distributed Switch (Distributed Switch). The following sections will provide higher-level details on new and enhanced networking capabilities in vSphere 5.0.
infrastructure. Network administrators want more visibility into this traffic that is ﬂowing in the virtual infrastructure. This visibility will help them monitor and troubleshoot network issues. VMware vSphere 5.0 introduces two new features in the Distributed Switch that provide the required monitoring and troubleshooting capability to the virtual infrastructure. Figure 1 shows a Distributed Switch configured to send NetFlow records to a collector that is connected to an external network switch. The blue dotted line with arrow indicates the NetFlow session that is established to send ﬂow records for the collector to analyze. 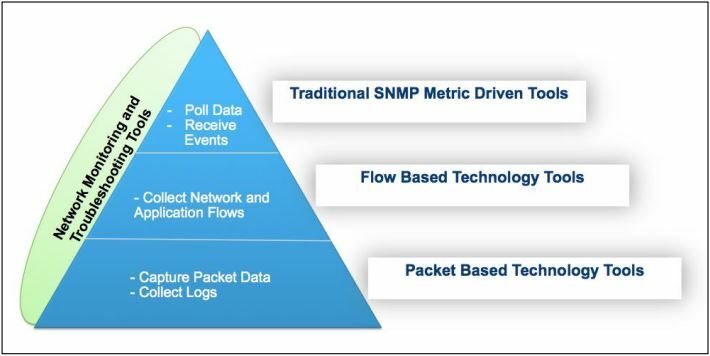 NetFlow capability on a Distributed Switch along with a NetFlow collector tool helps monitor application ﬂows and measures ﬂow performance over time. It also helps in capacity planning and ensuring that I/O resources are utilized properly by different applications, based on their needs. environment can enable ﬂow monitoring on a Distributed Switch. NetFlow on Distributed Switches can be enabled at the port group level, at an individual port level or at the uplink level. When configuring NetFlow at the port level, administrators should select the NetFlow override tab, which will make sure that ﬂows are monitored even if the port group–level NetFlow is disabled. Figure 2 shows different types of traffic ﬂows that can be monitored when a virtual machine on a host acts as a destination or monitoring device. All traffic shown by the orange dotted line with arrow is mirrored traffic that is sent to the destination virtual machine. The port mirroring capability on a Distributed Switch is a valuable tool that helps network administrators in debugging network issues in a virtual infrastructure. The granular control over monitoring ingress, egress or all trafc of a port helps administrators fne-tune what trafc is sent for analysis. Port mirror configuration can be done at the Distributed Switch level, where a network administrator can create a port mirror session by identifying the traffic source that needs monitoring and the traffic destination where the traffic will be mirrored. The traffic source can be any port with ingress, egress or all traffic selected. The traffic destination can be any virtual machine, vmknic or uplink port. 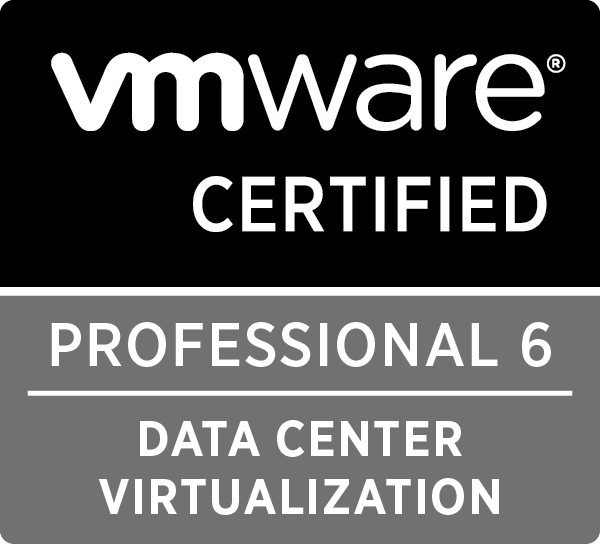 Download a full What’s New in VMware vSphere™ 5.0 Networking Technical White Paper. This guide shows how to perform day-to-day management of an NSX for vSphere (“NSX-v”) deployment. This information can be used to help plan and carry out operational monitoring and management of your NSX-v implementation. Monitoring and troubleshooting tools use the above types of data and help administrators manage and operate networks. Collectively, these types of information are referred to as “network and performance monitoring and diagnostics” (NPMD) data. The diagram below summarizes the types of NPMD data and the tools that consume this information. The tools used for monitoring physical networks can be used to monitor virtual networks as well. Using standard protocols, the NSX platform provides network monitoring data similar to that provided by physical devices, giving administrators a clear view of virtual network conditions. In this document, we’ll describe how an administrator can monitor and retrieve network statistics, network flow information, packet information, and NSX system events. – Architects and planners responsible for driving architecture-level decisions. – Security decision makers responsible for business continuity planning. – Consultants, partners, and IT personnel, who need the knowledge for deploying the solution. This guide is written with the assumption that an administrator who will use these procedures is familiar with VMware vSphere and NSX-v, and we assume the reader has as strong networking background. For detailed explanations of NSX-v concepts and terminology, please refer to the NSX for vSphere documentation website. 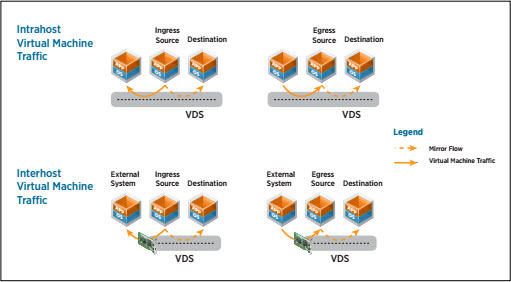 This guide covers NSX-v and its integration with core VMware technologies such as vSphere and Virtual Distributed Switch (vDS). It does not attempt to cover architectural design decisions or installation. Also, while there are third-party integrations and extensive APIs available to programmatically program and manage NSX, this document does not focus on APIs or third-party integration including other VMware products. We do mention specific APIs when they offer a recommended or efficient method for configuring NSX, and when there is no direct UI function available to perform the desired action. VMworld 2014 MGT1969 vCloud Automation Center and NSX Integration Technical Deep Dive. Tech Data hosted a live stream event with special guests from VMware for a training and demo on NSX. NOTE: This video is roughly 18 minutes in length so it would be worth blocking out some time to watch it! This session will focus on introducing NSX. It will detail the product and its components, the key use cases, partner integrations and pricing and packaging. Security Hardening Guides provide prescriptive guidance for customers on how to deploy and operate VMware products in a secure manner. Guides for vSphere are provided in an easy to consume spreadsheet format, with rich metadata to allow for guideline classification and risk assessment. They also include script examples for enabling security automation. Comparison documents are provided that list changes in guidance in successive versions of the guide.